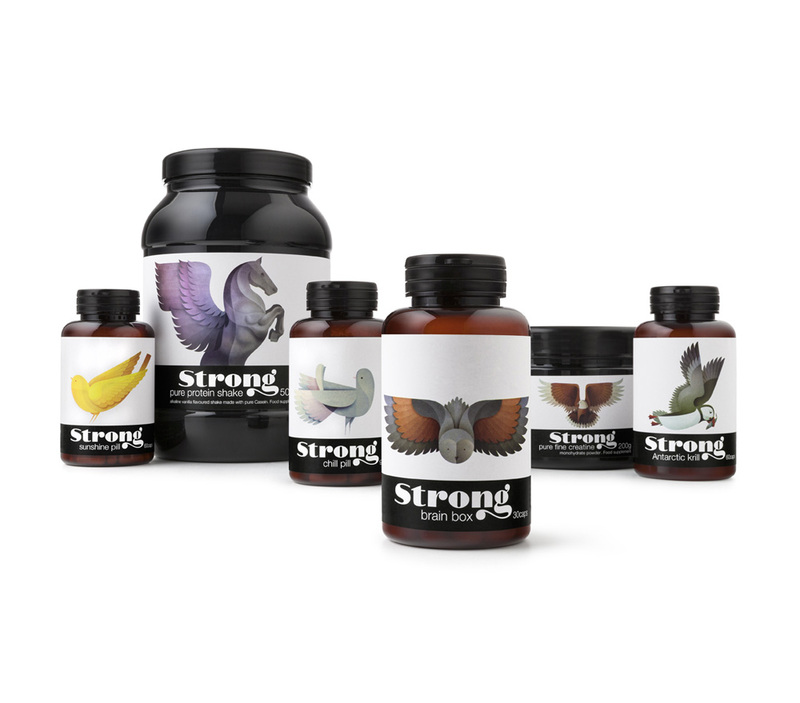 “Pearlfisher has created the brand strategy, naming, identity, packaging, retail and digital communications for Strong, a range of high quality complex nutrients. 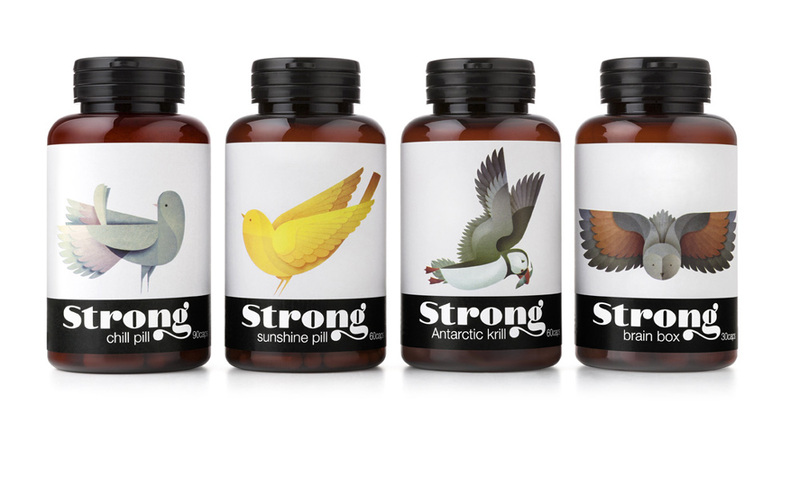 Strong is made from the freshest and highest grade of ingredients, developed to target health and beauty at a cellular level, for a stronger, more vibrant and younger body. Pearlfisher’s objective was to create a brand that could stand out in the crowded and functional supplement market, celebrate the idea of ‘beauty from within’ and bring to life the end benefits in a unique and emotional way. “Pearlfisher created custom hand-drawn typography for the brand name and commissioned a series of bespoke bird illustrations that bring to life the product benefits in an unexpected and emotive way. For example, for ‘brain box’ an owl was used to represent how the powerful combination of cutting edge nutrients promotes optimal brain performance, whilst a bright yellow canary was used for the ‘sunshine pill’ to illustrate the end benefit of a radiant, healthier immune system and stronger bones. Looks like “Pearlfisher”forgot their moodboard. They are totally off-topic with the univers, with the target and which is even the worst, graphic is less then attractive.